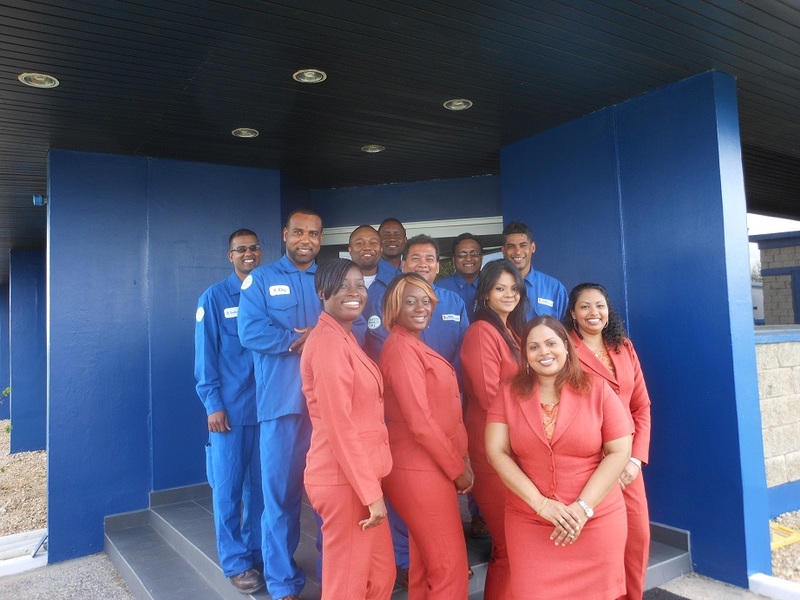 Customer Service Philosophy Statements – Massy Gas Products (Trinidad) Ltd.
We fuel, preserve and enhance life. Massy Gas Products Ltd is dedicated to delighting our customers with quality products, services and an experience that exceeds expectations. Unwaveringly deliver the safest products and services. Serve our customers courteously and professionally each and every time. Maintain open, consistent and timely communication. Continually anticipate and cater to all our customer needs while enhancing our processes to deliver superior value. Ensure that “As you come, so shall you return”. Provide opportunities for learning and personal development. Foster an environment where equity, fairness and equal opportunity resides. Stimulate innovation, creativity and generation of ideas. Appreciate, recognize and reward excellent performance and results. Promote team spirit through collaboration, cooperation and consultation. Mutual Benefit is essential to business sustainability. Shared Values ensure the quality/ safety of our offerings. Relationship Intimacy results in greater synergies. Mutually beneficial Knowledge and Experience will be shared. Information shared is Clear, Timely and Accurate. Brand Representation is of the highest standard. Actions are Consistent with our words. Feedback guides our process improvement efforts. Our Obligations will consistently be met. We will treat your Employees like our own, ensuring their safety & well-being. Safeguard the reputation of the company by compliance to a rigorous system of internal governance and controls. Conduct our business fairly, honestly and with the highest degree of integrity. Careful identification and selection of reputable suppliers as partners; suppliers that share our way of doing business. Avoid situations with conflicts of interest. Walk away from any business opportunity if our high ethical values will be compromised. Ensure no harm to person, property or environment. Be responsible for your personal safety and that of others. Ensure best in class practices are entrenched in all that we do as one incident can wipe out all the gains. Treat people the way you want to be treated; respect, inclusiveness, equality and honesty are hallmarks of the way we relate to each other. Celebrate and reward outstanding individual and team achievements. Maintain a policy where only performance dictates upward mobility in the organisation. Promote continuous learning both at the individual and organisation levels. Be proactive in our approach to capitalising on market opportunities, and finding solutions. Promote an environment where people want to excel. The right people are our best asset. Relentlessly cut waste across all business processes. Continuously search for a better way in all aspects of our business that we do. Fully assess external impact (implications) before implementation of our policies and priorities. Seek and implement best practices. Delight customers by consistently exceeding their expectations. Respond expeditiously to customers complaints and arrive at an amicable resolution. Be a market driven, customer-oriented company by providing innovative solutions for our customers’ business. Continuously invest in infrastructure and technology to assure future profit streams. Enhance shareholder value every day. Deliver a return to our shareholders that exceeds that of companies in our peer group.